See What our Customers are saying about P&R Electrical Contractors work in and around Skelmersdale, merseyside and Lancashire. 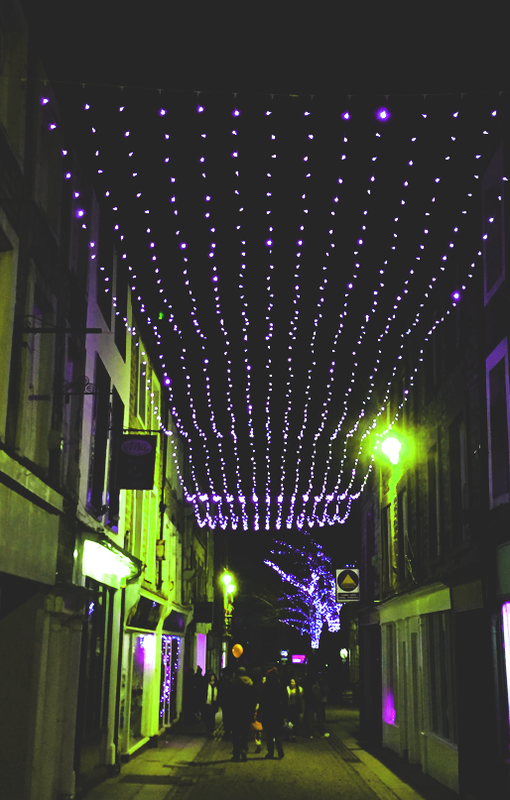 P&R Electrical Contractors Ltd has had the pleasure of working with several Councils in the local area installing Christmas lights to ensure that town centres and surrounding areas look the part over the festive period. We are able to look after the whole package – from design to installation and then storage – to enable the whole process to take place in a professional manner. Our electricians also personally ensure that the big switch on goes smoothly. We have carried out these installations annually for a number of years now and we maintain a strong working relationship with the local Councils. We also carry out installations on behalf of Blachere Illumination UK, an innovative, globally recognised company who are the UK’s leading festive lighting company. We employ our own full-time, qualified staff who are highly experienced. Should you need to discuss your requirements in person, we’re always happy to visit your offices to talk about your aspirations and vision.